PESHAWAR: Chief Minister Khyber Pakhtunkhwa (KP) Pervez Khattak, Pakistan Tehreek-e-Insaf (PTI) Chairman Imran Khan, Interior Minister Ahsan Iqbal, Punjab Chief Minister Shehbaz Sharif, along with other politicians have strongly condemned Friday’s terrorist attack at Peshawar Agriculture Directorate. In their separate messages, Chief Minister KP Pervez Khattak condemned the terrorist attack in Peshawar and directed authorities to ensure all injured are given the best of medical facilities. The CM also lauded prompt action by the security forces to control the situation. Punjab Chief Minister Shehbaz Sharif said that it was due to the timely response of the security forces that the terrorists were defeated. At least nine people were killed and 37 others injured in a firing incident that targeted the hostel of Agriculture Directorate on University Road, Peshawar, early Friday morning. 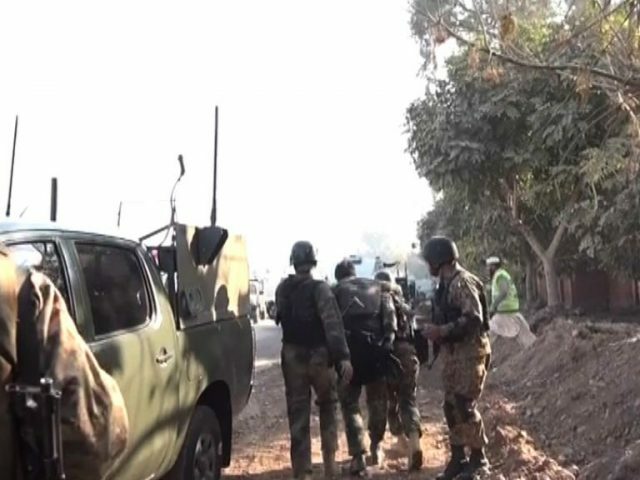 The attack was claimed by the Tehreek-e-Taliban Pakistan. At least two explosions were also heard from the site of the attack. In fact, the tool we are hosting likely to make use of in this procedure lets you run practically any kind of Android application on your Windows PC.